Palais Großer Garten. The Großer Garten, or Great Garden, was established in 1676 and has been a public park since 1814. 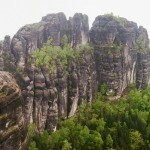 There’s a nice biergarten just off to the right of this photo here. 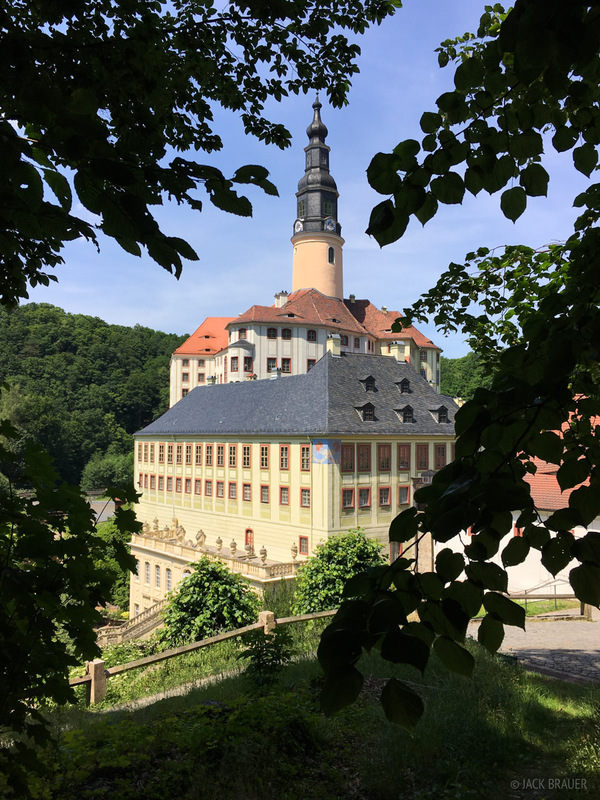 Originally built as a defensive castle sometime around 1200, the Schloss Wesenstein, or Wesenstein Castle, has changed hands many times and has had innumerable renovations and additions over the centuries. 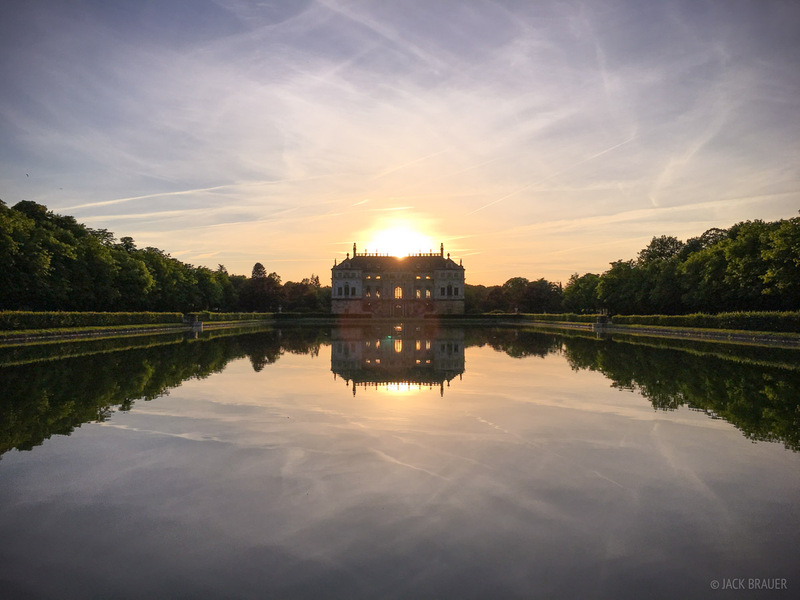 Schloss Pillnitz (Pillnitz Castle), build around 1720, is a palace sitting on the banks of the Elbe River on the east end of Dresden. 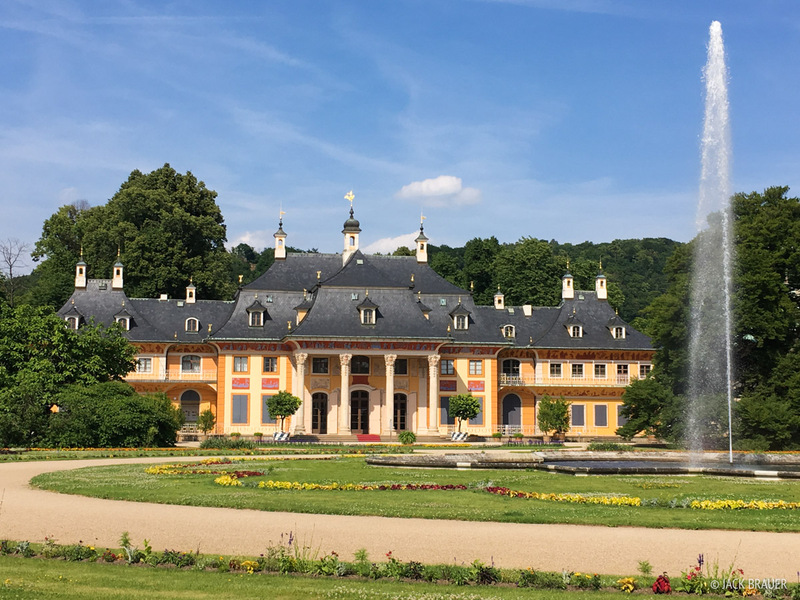 The Baroque architecture has a very uplifting and celebratory feel to it, and you can’t help but wonder what it would have been like to hang out with the royal fancy pants of the 18th Century here at their summer residence. 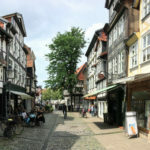 The Kunsthofpassage is a little alleyway in the Neustadt neighborhood of Dresden, where the buildings are covered in mosaics and other creative designs. 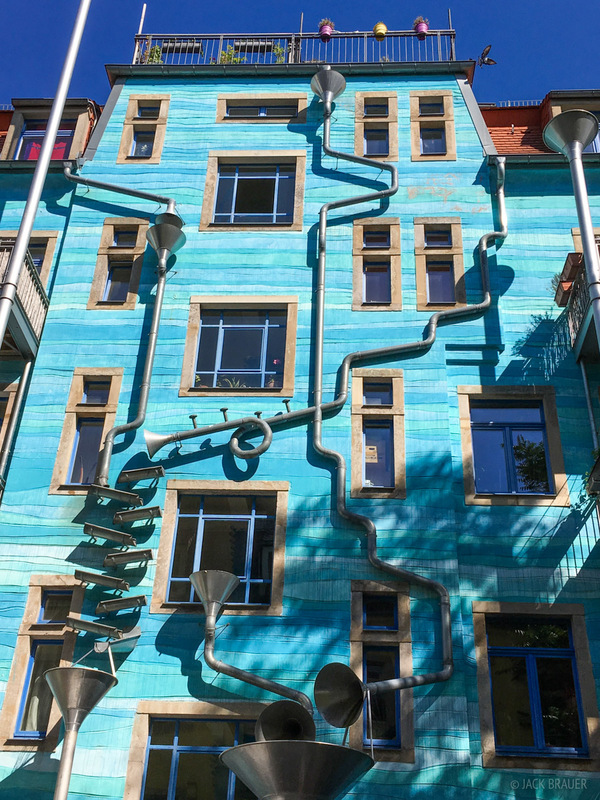 This building supposedly makes musical sounds when rainfall flows through these funnels (bonus points if you can find audio of this online!). 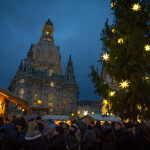 Bunte Republik Neustadt. Over the weekend there was a huge annual festival in Neustadt where they shut all the roads to cars and have bands, DJs, and performers on every street and corner, along with lots of beer and food of course! This two-man band here was playing a rockin song about Gummi Bears. 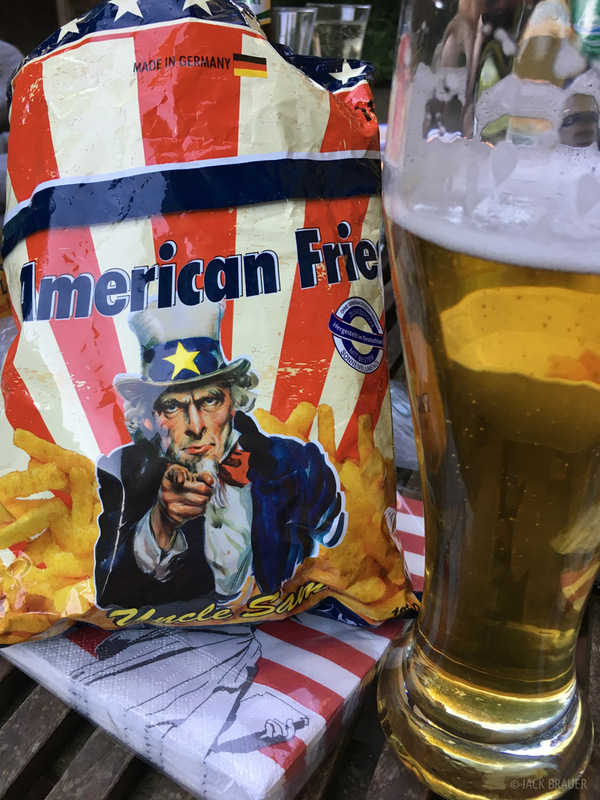 You can almost taste the freedom. 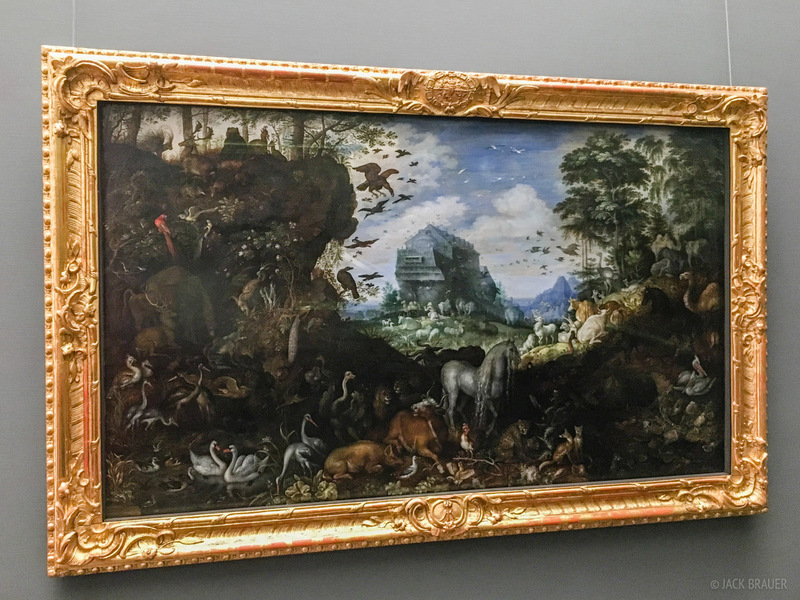 On one morning we visited the Gemäldegalerie Alte Meister (Old Masters Gallery) which displays an impressive collection of about 750 paintings from the 15th to 18th centuries, including many famous Renaissance Italian paintings and 17th century Flemish and Dutch paintings. 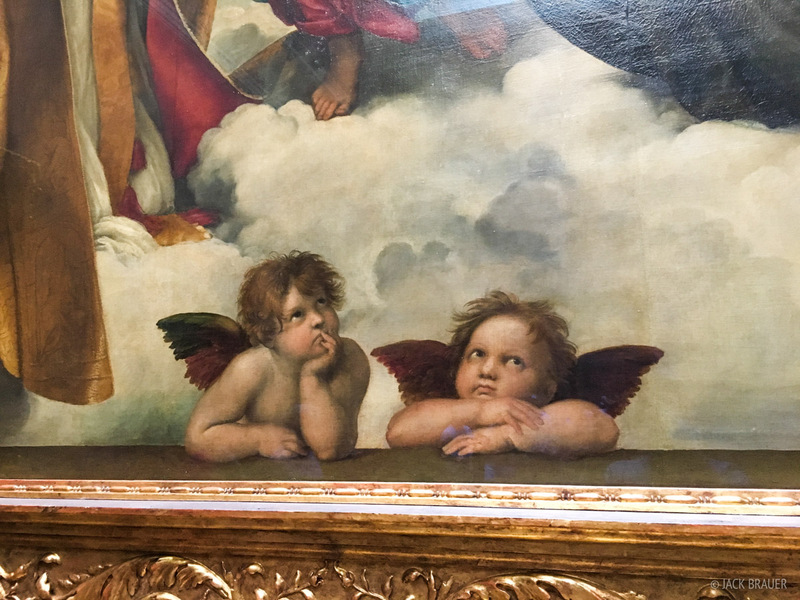 I couldn’t resist this snapshot of the famous cherubim of Raphael’s Sistine Madonna, 1512. The little angels are probably more famous in pop culture today than the painting itself! Before the Deluge by Roelant Savery, 1620. While the Gemäldegalerie Alte Meister is dominated by images of crucification, rapture, and such (the Maroon Bells of the 15th and 16th centuries? ), and much portraiture, it’s probably no surprise that I was immediately more attracted to the paintings of grand scenes — the battles, landscapes, and my personal favorite of all in this gallery, this epic scene of animals in the pre-boarding stage for Noah’s Ark. 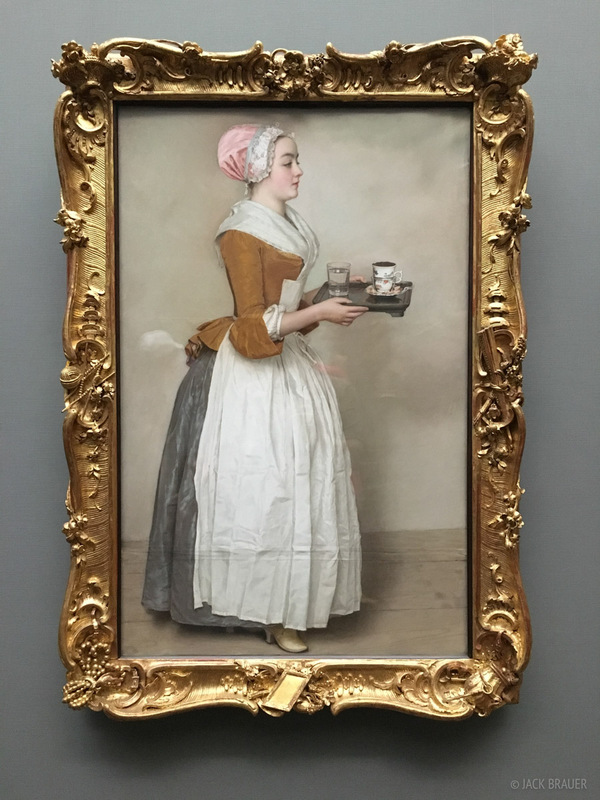 And I can’t omit the famous Das Schokoladenmädchen, by Jean-Étienne Liotard, 1743, which inevitably adorns, in some variation, many coffee shops around Dresden. 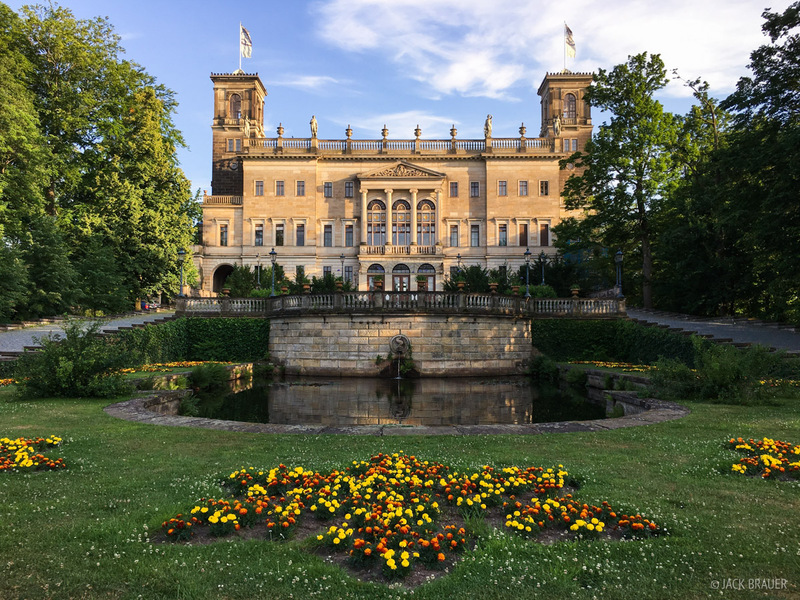 And finally, a pano of the sculpted women of Zwinger, another 18th century Baroque style palace grounds near the center of Dresden, surrounded by museums and gorgeous sculpture work. ← Previous: "Lake Blanche Overnighter"
Neat stuff! The pano is awesome! 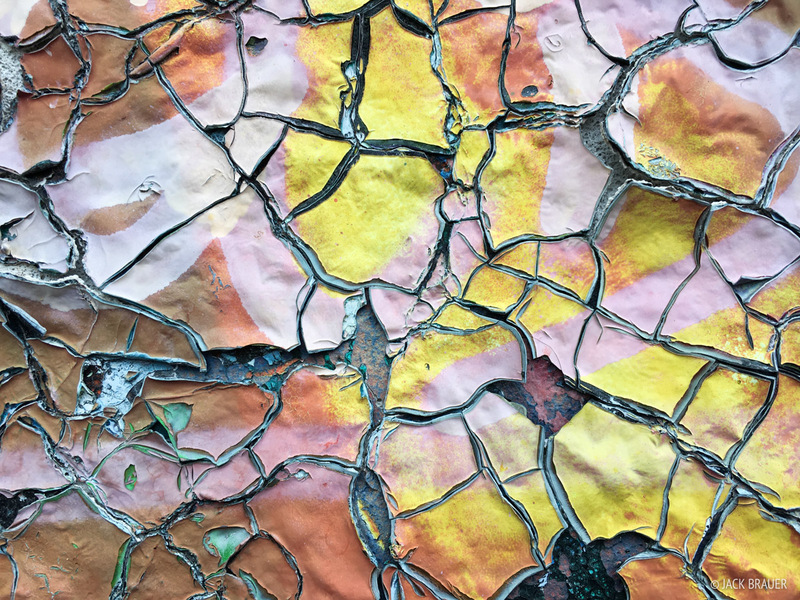 If you’re referring to the last pano, of the sculptures, that was a fun one to make because instead of rotating the phone/camera like usual, I just held it steady and walked in a straight line past all the statues! Is there any HDR use in the first image? Not really, no. I lightened the shadows and boosted the contrast a touch, but very minimal and not in HDR territory, imo. That said, I am currently working on a small laptop while traveling so perhaps my calibration is not ideal.